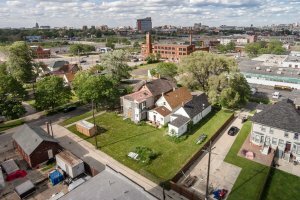 The new owner of a land parcel near Michigan Central Station in Detroit’s Corktown neighborhood plans to build apartments and rehab existing homes. Andrus McDonald of Detroit-based outdoor advertising firm Brooklyn Outdoor sold the land to Patrick Beal, CEO of Detroit Training Center, according to a news release from Farmington Hills-based Friedman Real Estate. The purchase closed Aug. 2 for $515,000, said James Tumey, vice president of Friedman Urban. He represented the seller.